Transport chairs are an ideal alternative to regular wheelchairs. 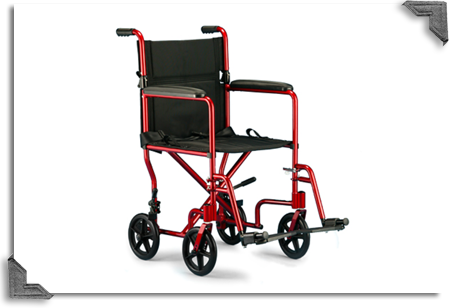 Transport chair are much lighter and easier for a caregiver to propel. They typically fold for easy storage and transportation. Contact our Home Medical Equipment staff today to request more information about transport chairs.